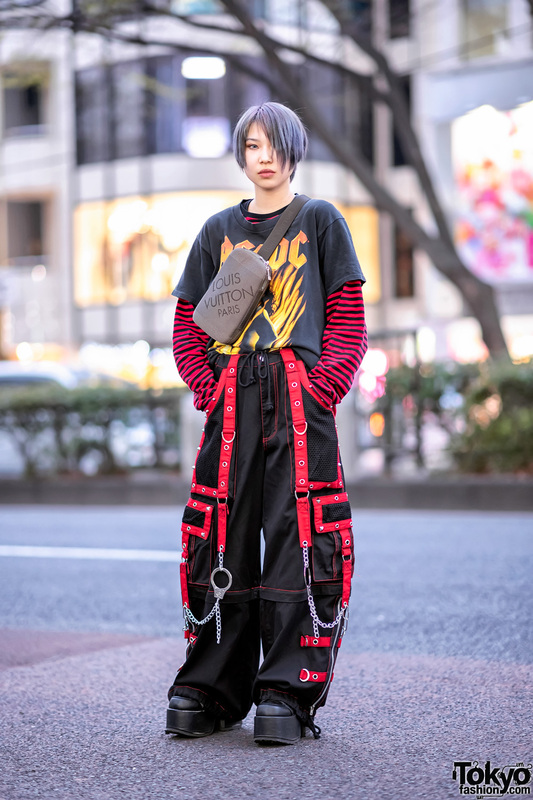 We met Shiori, a 16-year-old student whose all black street style easily caught our eye on the Harajuku street. 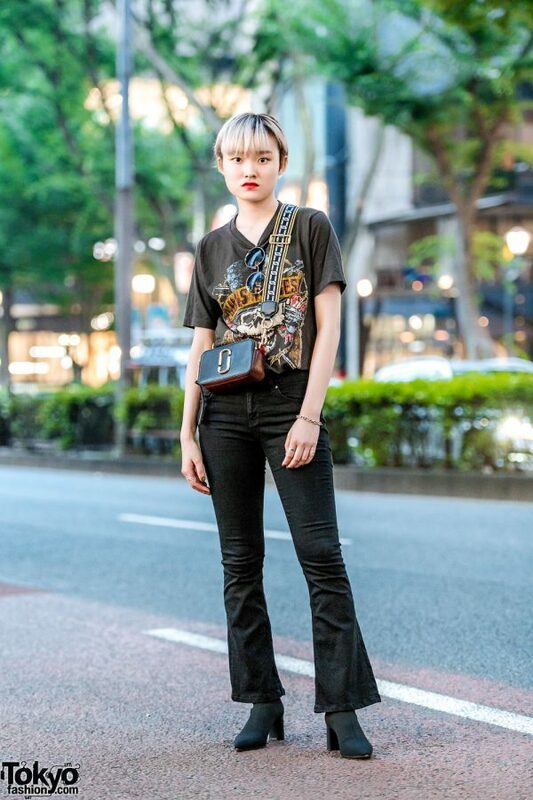 Shiori is clad in a resale Guns N’Roses t-shirt, casually tucked into black skinny pants with flared hem from Zara, and paired with black pointy toe velvet boots, also from Zara. Bold red lipstick, round sunglasses, a Tiffany & Co. chain bracelet, and multiple silver rings furnished her casual style. 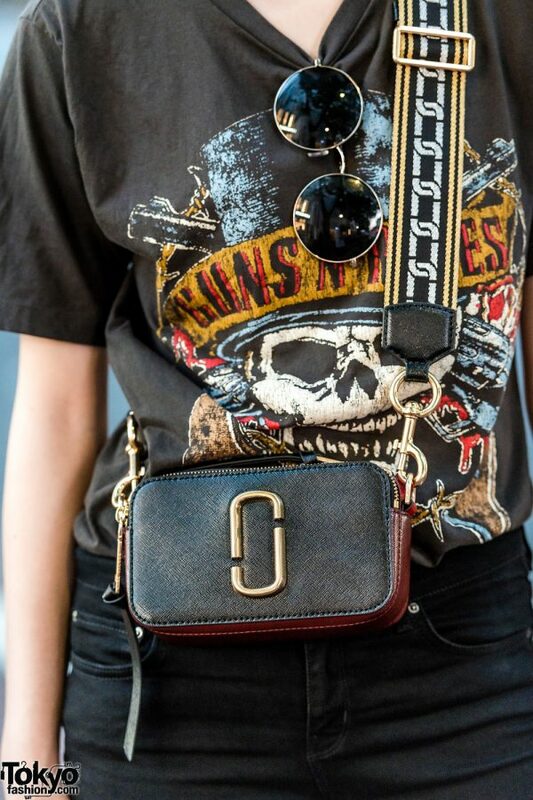 In addition, Shiori is carrying a Marc Jacobs box-shaped bag with a printed sling. 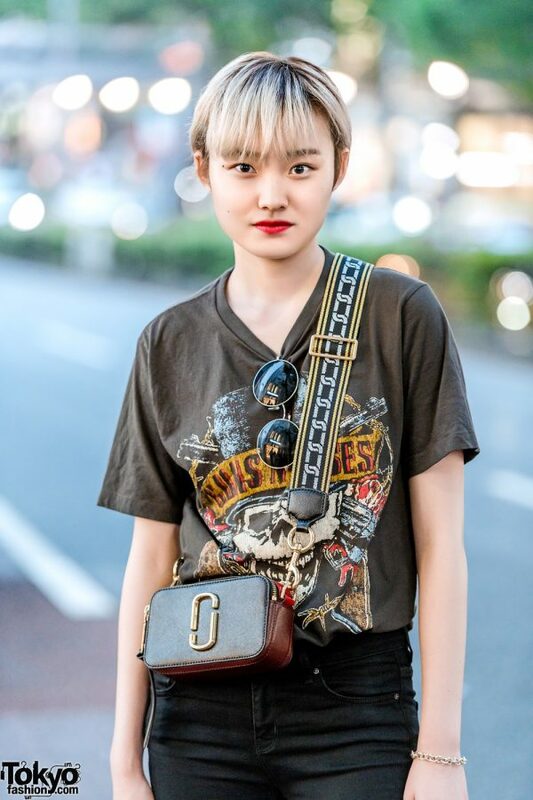 Shiori likes to shop at Zara and Never Mind the XU, and she likes the music of Monsta X. For her social media updates, follow Shiori on Instagram.